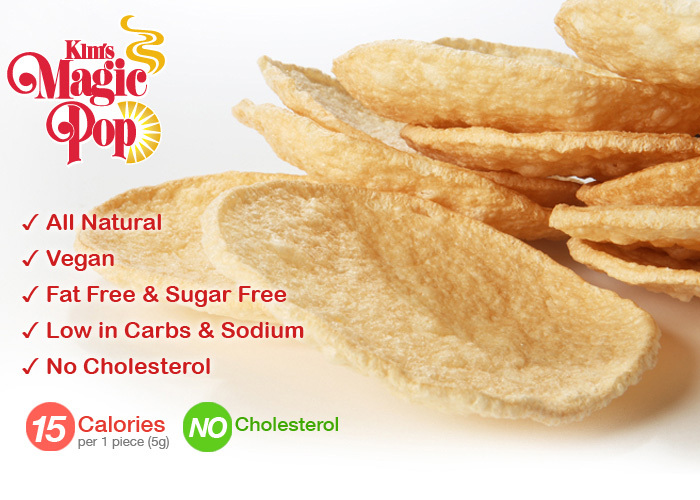 Magic Pop is a freshly popped grain snack that is a wholesome blend of wheat, brown rice and corn made with today’s health-conscious consumers in mind. 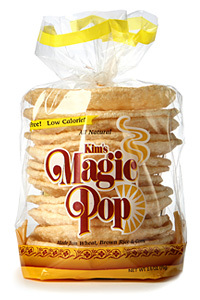 You’ll love Kim’s Magic Pop because of the airy, crispy texture and the delicious, filling flavor! 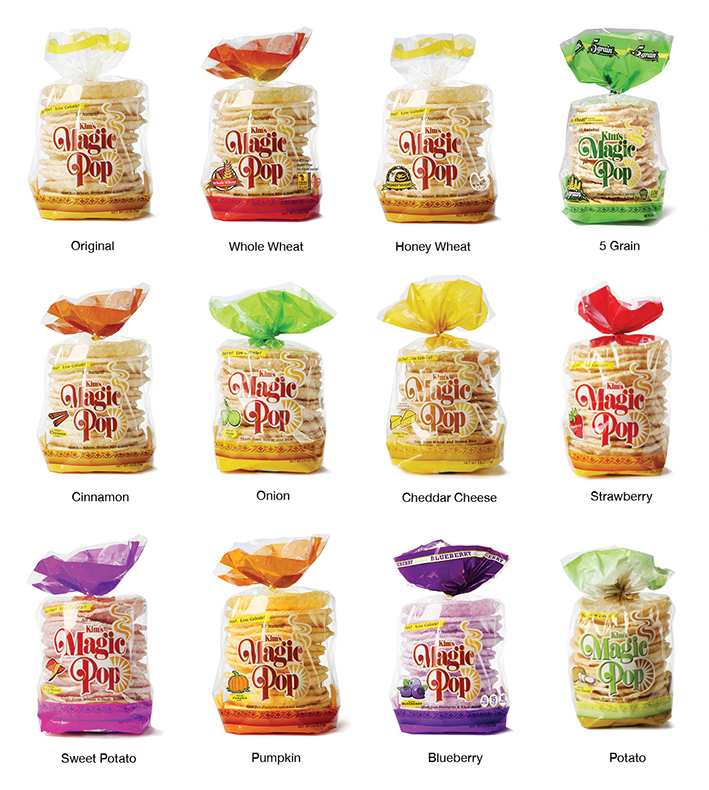 Eat Kim’s Magic Pop right out of the bag or put your favorite topping on them. Try Magic Pop with Hazelnut Chocolate, Peanut Butter, Jellies or Preserves. 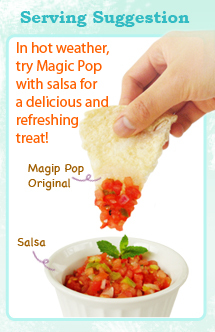 Magic Pop is also great with Savory Spreads and Dips like Hummus or Cheese.